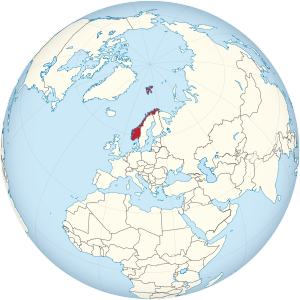 ↑ "Arealstatistics for Norway 2019". Kartverket, mapping directory for Norway. 2019. Retrieved 2019-03-26. ↑ "Population, 2019-01-01". Statistics Norway. 2019-02-22. Retrieved 2019-03-12.